FEDERAL Truck Operator Manuals PDF are above the page. The history of Federal Truck began in 1910. For half a century, the Federal company held a stable position in the American truck industry, being located between major concerns and small one-day firms. It has consistently and steadily produced the classic-layout bonnet trucks, rather conservative than saturated with new technical solutions. For example, it offered trucks with open cabins until 1937. Like others, “Federal” began its activities with cars-buggies on high wheels with a lifting capacity of 1-1.5 tons. With a 4-cylinder front engine, 3-speed gearbox, spring suspension and chain drive. In the second half of the 1910s. The Federal program included trucks of 1-5 tons of cargo, which received a disk clutch, a worm-gear, and a cardan drive. All units were purchased, including engines with a power of 25-40 hp, accelerated heavy cars to a speed of no more than 24 km / h.
The only original feature of these cars were the Freeman winches, and simpler is the cable drums mounted on the hubs of the rear drive wheels. In the 20s. Federal offered one of the most extensive programs in the USA - from 1-ton SD pickups to 7-ton trucks (TD, R, UB / UD, WC / WF, and X / XC "). The progressive solutions include the use of Knight valveless engines in pickups since 1924, the use of 6-cylinder Continental engines from 1926, the installation of front-wheel brakes and pneumatic tires. In 1938, the program already consisted of 18 basic models, and by 1941 it was brought to 39 variants (from model “7” to “892”) with a carrying capacity of 1.5-15 tons and a motor power of 52-150 hp .. 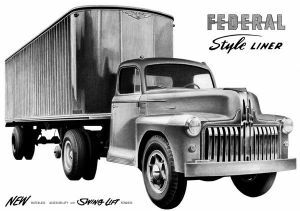 Since 1938, the appearance of trucks "Federal" began to create stylist Henry Dreyfuss. 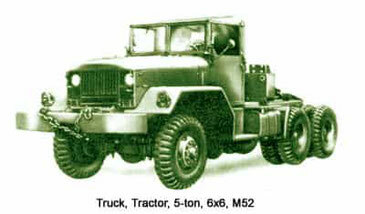 During the Second World War, Federal produced 20-ton 6 × 4 conveyors and 6 × 6 repair and recovery vehicles. In 1945-47 the company launched a new range of machines with a more modern appearance, which included 9 models (from “18M” to “65M2”) with a payload of 4.5-10 tons and an engine power of 93-148 hp. Since 1951, most of them began to be equipped with diesel engines, and some - hypoid main gear. Large investments in the program update brought the company to the brink of bankruptcy. In 1952, its losses reached $ 1 million and the production of trucks had to stop. After the agonizing reorganization, Federal for a short time produced 4 × 4 and 6 × 6 chassis for snowplows and cranes, as well as airfield towers. In March 1959, the company ceased operations. In its entire history, 160 thousand cars were produced under the Federal brand. 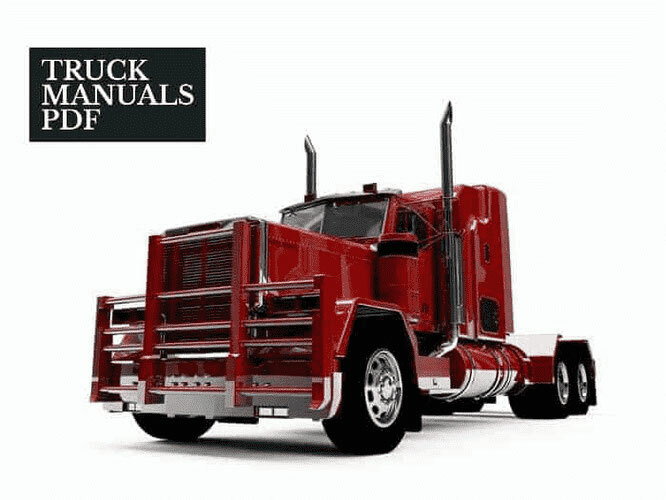 Read - BROCKWAY Truck Manuals PDF & History.